Chishui, northwest Guizhou province, is a remote and poor mountainous area of China. The region, in the upper reach of Yangtze River, is a key focus not only for national poverty alleviation programmes but also conservation efforts. Chishui is rich in bamboo resources, which generate a large proportion of some rural communities’ financial income. For some years, the Chishui Municipal Government has focused on bamboo and eco-tourism as two major industries for developing the local economy. However, INBAR research found that many local people in the bamboo sector still lacked advanced knowledge and techniques on bamboo management and environmental rehabilitation. Moreover, local people lacked essential participation in bamboo sector-related activities. In this project, INBAR worked closely with rural communities to return 25 hectares of farmland to bamboo forest, and promote bamboo-based industries with an aim to alleviating poverty and rehabilitating the environment. A community-based processing factory was installed, and bamboo-framed methane gas generators were created for saving fuel woods. Local farmers were included as key stakeholders in all processes, through the use of Participatory Rural Appraisal (PRA) approaches. PRA assessments were used throughout for assessment, planning, implementation, monitoring, and evaluation in the project. 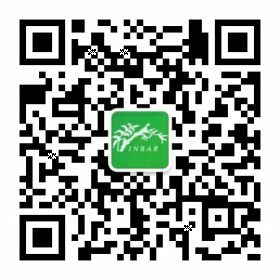 In essence this project proved to be an excellent model for INBAR to address poverty alleviation and environmental protection, by developing bamboo-based solutions for rural communities which use the full participation of farmers.